If you are looking for a unique atmosphere of quiet walks or active recreation surrounded by wide-open green spaces and natural landscape, then Austin Waters is for you. This master-planned community has classically inspired homes on this 78 acres of gentle rolling hills with easy access to the George Bush Turnpike and the North Dallas Tollway. Located in the prestigious Plano Parkway corridor you will currently find four unique communities to meet your needs at Austin Waters. This secluded lifestyle will bring you peace of mind in the quietness of your new home, yet delivers the convenience of upscale shopping, restaurants and major medical facilities. Unique design choices in Austin Waters encompass current list pricing from the $240’s and up. 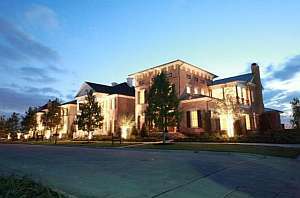 Delivered to you by Darling Homes are architectural styles of Tudor, Arts & Crafts, Texas, Southern Vernacular, Classic Revival, Mediterranean and Colonial. Take a moment and consider the lifestyle and architectural choices that Austin Waters can provide for you. Home and nature……………at it’s best. A master-planned, premier gated community located off the Dallas North Tollway and Eldorado Boulevard showcases an unmatched lifestyle for all ages. 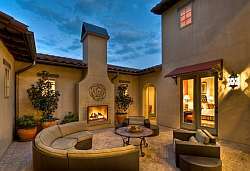 Distinctive architecture and diverse floor plans are presented in single-story and two-story homes featuring verandas, interior courtyards, guest casitas, brick patios, three-car garages, wide porches and great vistas. This community is a must see for your new home in Newman Village. The architectural design choices deliver a fabulous choice of English Tudor, French Eclectic, Italian Renaissance, Mediterranean, Spanish Eclectic and Neoclassical. With this diverse design community you will find distinctive characteristics that are uniquely found. Newman Village is a “must see” including Central Plaza which serves as an anchor for the community featuring gallery-styled art displays, live music performances, movie nights, festivals, plays and other community activities. Newman Village, presented by Darling Homes has a tradition that spans two generations of builders and craftsmen – dedicated to building not only fine homes, but also a level of customer service intended to last a lifetime. And every Darling home combines custom details, design options and flexible amenities to fit the way you want to live. 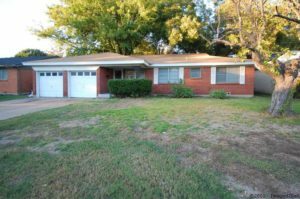 Irving TX Homes For Sale – Great potential in this 3-2-1 with carport, two living areas and huge kitchen with great storage. Additional living area could be used as gameroom or formal dining. View this property in an established neighborhood and see how you can make it ‘your own’. Current status, pricing, photos, and a virtual tour for this Irving TX Home for Sale. 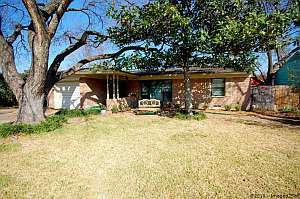 Richland Hills TX Homes For Sale – Great potential in this 3-2-2 with two living areas. Additional living area may be used as gameroom or formal dining. The large back yard also proves great potential as a naturistic getaway. View this property to see how you can make it ‘your own’.